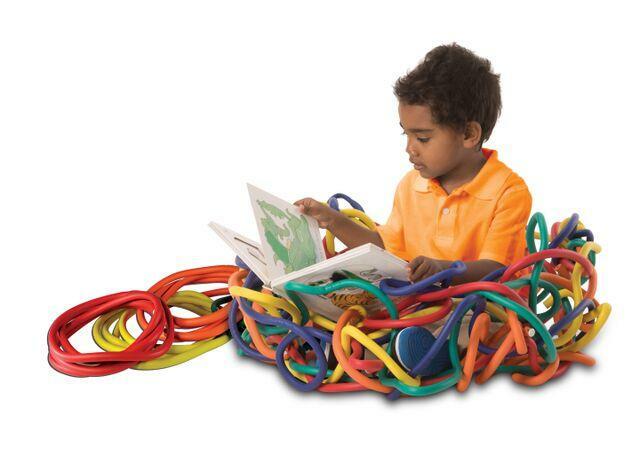 Weave, build, and make shapes with these squishy, brightly colored jumbo sculpting rods! Use indoors to make giant grids for rainy day math and sorting activities or take and create outside and make mazes, grids and play environments! The strands come in five beautiful colors that are perfect for color coordinating activities. Includes 10 Sculpture Stems and guide.